The mission of Weaver’s Social Enterprise Directory is to advance the United States social enterprise ecosystem by educating and equipping people, businesses, and government with knowledge and resources about social enterprises, which are businesses that aim to combat social problems. Weaver’s Social Enterprise Directory is a celebration of organizations throughout the United States that are working towards creating positive social changes in our nation. 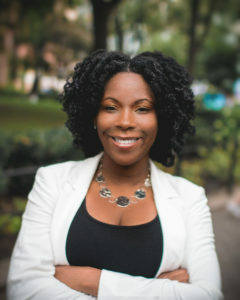 Named after the creator, Dr Rasheda L. Weaver, Assistant Professor of Entrepreneurship and Innovation at Iona College in New York, the directory contains information about how social enterprises strive to address social problems, the goods and services they sell, and their legal structure. There are over 1,000 social enterprises that are currently featured, but it will be continuously updated on an annual basis.The directory is expected to feature at least 3,000 social enterprises by 2020. Providing technical and consulting assistance for developing customized directories for use by government and social businesses. Social Entrepreneurs searching for information about social enterprises in specific geographic areas, which may facilitate collaborations, market research, and more. Proponents of Social Enterprises like policy makers, accelerators, angel/impact investors, networking organizations, or legal firms that may use the directory to aid or inform their work and investments. Civic Minded Consumers that want to identify social enterprises, so they can engage in socially responsible consumerism. Job Seekers that aim to identify and work with socially conscious businesses. Educators that can use the directory for creating student projects, case studies, and for helping students choose internship opportunities. Researchers that need to locate and contact self-identifying social enterprises for research studies or to even conduct research on the directory itself. Weaver’s Social Enterprise Directory, Inc. is a Benefit Corporation. Revenues enable this directory to continuously provide the value and benefits described above.